Thank you for allowing me to do what I love!! We've had the pleasure of working with Kaoverii for our engagement photos and on our wedding day. She was a dream to work with! And the photos... Oh my goodness, they're one of the best investments we've ever made. Her photos are of the highest quality and she captures such beautiful yet natural moments. Not only that, she helps you feel comfortable even though there's a lens pointed right at you. Both my husband and I are super camera shy and are a little awkward when taking photos. But Kaoverii has a way with navigating around that! She had us laughing and having fun with it and I truly think that's what made our photos look so great! She was also super great with our dogs hehe! Kaoverii is also very professional and takes her job seriously. I recommend her to everyone I can!! She's the best! We cannot thank you enough for photographing our engagement and wedding so beautifully! Kaoverii is kindhearted, generous and a true professional when it comes to her craft. She has an amazing talent and truly showcases this in her photography. We couldn't have been happier with the photos we received. Her work is beautiful, elegant and truly captures the essence of the moment. We were also able to connect with her effortlessly and this goes a long way when you see the photos. Kaoverii's thoughtfulness is also unparalleled, she sped through the editing and was able to provide us with a few previews within a week. Kaoverii has been extremely professional and accommodating for us and even included our dog Elroy in both the engagement and wedding shoots. I would highly recommend Kaoverii for all your photography needs!! We hired Kaoverii for our engagement and wedding photos for our wedding in August 2017. We were recommended to Kaoverii from another photographer, and we are very glad that we made the choice to book with her. We could not have asked for a better experience. Kaoverii was so patient and calming on the day of our wedding. We have never done a photoshoot as a couple together, but she made us feel so comfortable and not awkward. 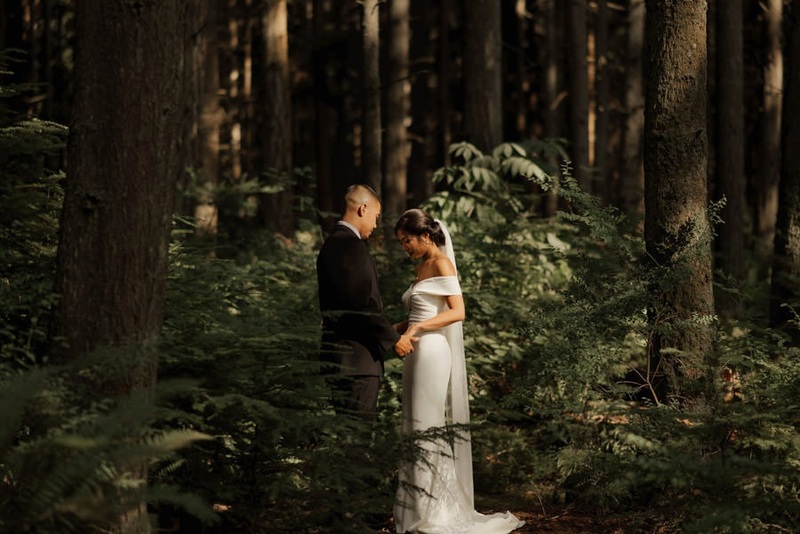 She is very professional, efficient and talented at what she does – we have received so many compliments on our photos, and how they portray so much emotion from the day. Looking back at them is like re-living the day all over again! She goes above and beyond for her clients. My husband was leaving for work and going to be away for 6 months, a week after our wedding. She rushed to get our highlights done within a short time frame (during the busiest time of year for her), without us even asking, just so we would have the chance to view them together before he left. It showed such thoughtfulness and we appreciated it so much! 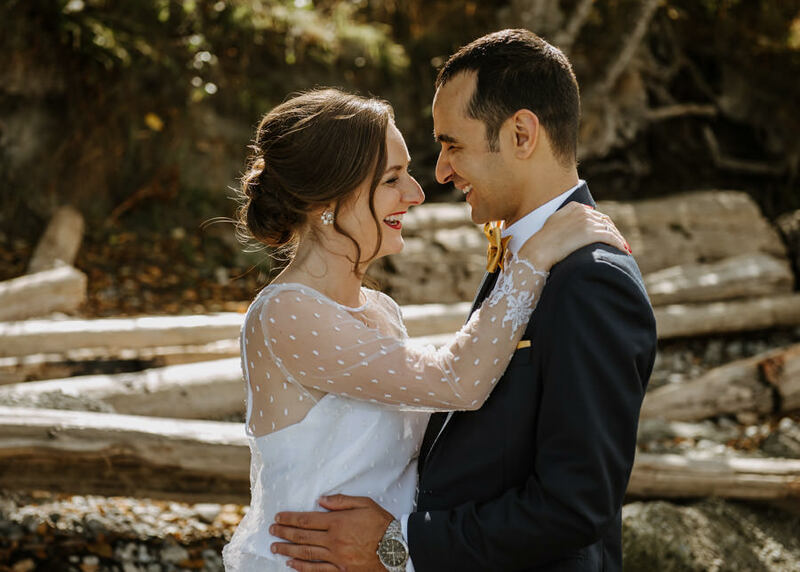 We had a small, intimate elopement ceremony and had no idea what we wanted in terms of photos or a vision, but Kaoverii was so warm and welcoming and helped us through the whole process. We are so happy she was there to capture our special day and could not be more in love with how our wedding photos turned out! We will definitely be asking her to share our upcoming life events with us and capture those special moments! "Thank you Kaoverii for being such an integral part of our day! You showed so much patience with us and really listened which resulted in stunning photos with your style (which we love!!!) but most importantly photos that captured our heart and soul. 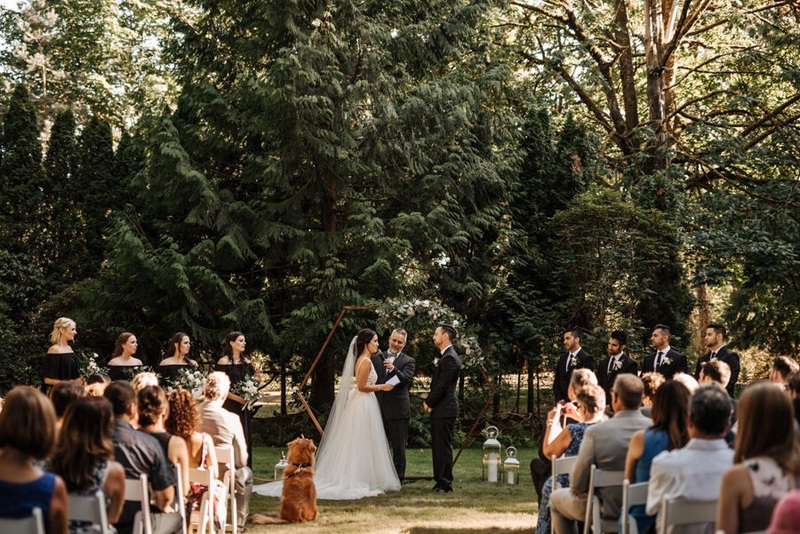 We were so happy going back through the photos and noticing all these little moments that we simply could not take in on the day - a little tear from my mom during the ceremony, a hug and a kiss from my dad, a funny face from the flower girl. Those photos mean the world to us and we will treasure them forever!" "Richard and I were more than thrilled with kaoverii and her team. The photographs were lovely, gracious, fun and casual all at the same time. We had our four granddaughters as our wedding party (all under the age of 5) and to be able to capture their innocence and happiness couldn't have been easy, but she did it. Easy to work with, eager to please and successful in her capabilities, we have already recommended Kaoverii for another wedding and the couple is much younger than we are! We know she will be able to inject her youthful eagerness into her work once again. Thanks Kaoverii for everything."